Ain’t No Bugs on me! Did you know that savings available through your veterinarian beats average big box prices? When purchased through a veterinarian, you are also assured that you are getting an authentic product and not a counterfeit made in China. 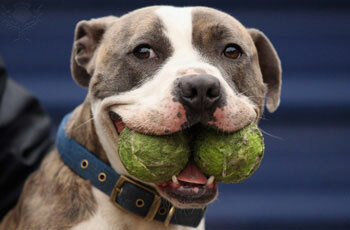 Dr. Cuesta will recommend the best product for your Furry Friend, and at the best price. There is also no paperwork for you because our Pet Nursing professionals will fill out the coupon forms and mail them for you! $50 Rebate and a FREE Heartworm test to keep your Furry Friend safe. 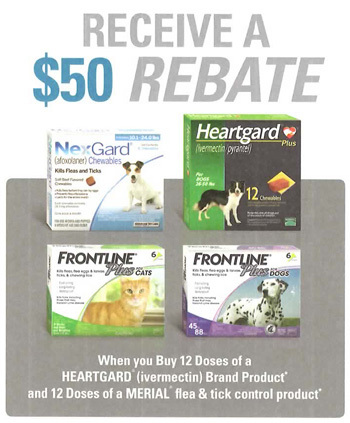 Choose from NexGard, Heartgard, and new Frontline Plus for both dogs & cats. This is a great deal for 12 months of protection from pesky pests, and Dr. Cuesta will include a free heart worm test (this extra savings of $33 was his idea!). *Rebate redeemable ONLY BY YOUR VETERINARIAN with a prescription. No need to print the coupon. Our Pet Nursing professionals will fill out the rebate forms and mail them in for you! Keep your Pet healthy with a $25 Rebate and a FREE Heartworm test! 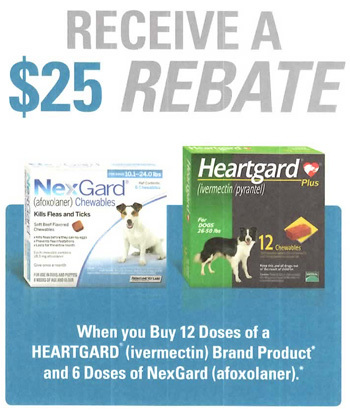 Choose 12 months of Heartgard protection, and 6 months protection from fleas with NexGard chewables to earn this valuable rebate. Save $58 while keeping your Furry Friend free from pesky pests! Keep your furry friend safe from pesky pests with a monthly chewable tab. 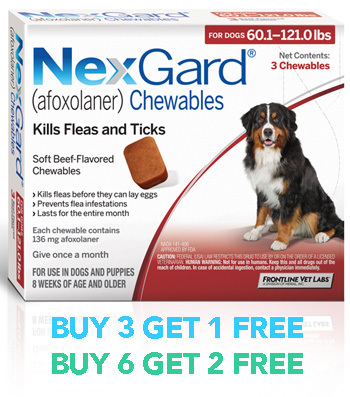 NexGard kills both fleas and ticks for 30 days. Our Buy 3 Get 1 Free special makes this a perfect opportunity to give NexGard a try. For even more savings, Buy 6 Get 2 Free for a full 8 months of protection. These fantastic deals add up to a 25% discount only available from your Veterinarian. Still the top choice of many fur families. 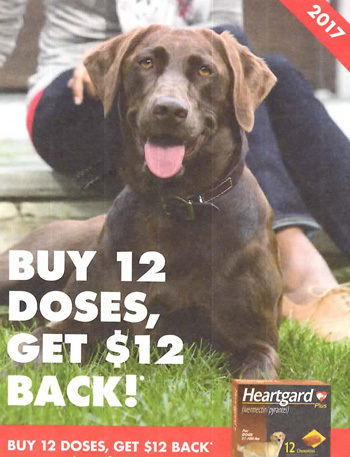 Save on trusted Heartgard with a $12 rebate on 12 doses. Heartworm test must be current for the upcoming year. 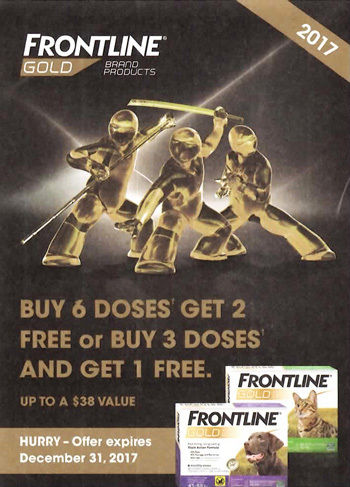 Protect your Pet 25% longer with FREE doses of new Frontline Gold. Our Buy 6 Get 2 Free, or Buy 3 Get 1 Free deals add up to 25% savings too! Free doses must be the same as the type purchased. Nip, nip, nip those fleas in the bud!